A coastal zone with stunning white beaches, reportedly the the whitest in the world, complex floristic biodiversity which includes rainforest and coastal heath, and a rich variety of birds – what more could you ask for! I’ve just returned from family beach holiday to Jervis Bay (approx 150 km south of Sydney) on the central south coast of NSW. During the trip I visited a number of sites in the area including Booderee National Park, Jervis Bay National Park particularly the heath behind Hyams Beach, Bomaderry Creek Regional Park near Nowra, and Berrrara and Conjola National Park. 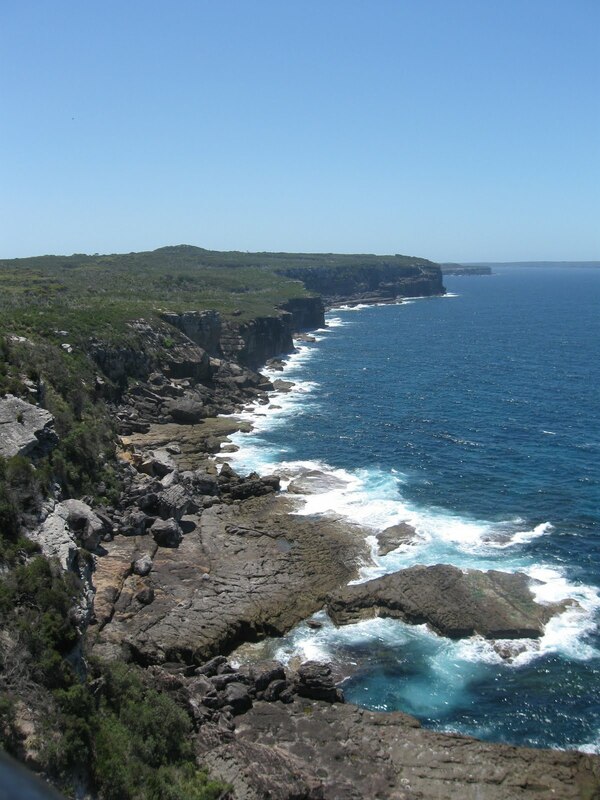 If you’re visiting the area for a while you couple a trip to Jervis Bay with a trip to Barren Grounds Nature Reserve and Budderoo National Park. 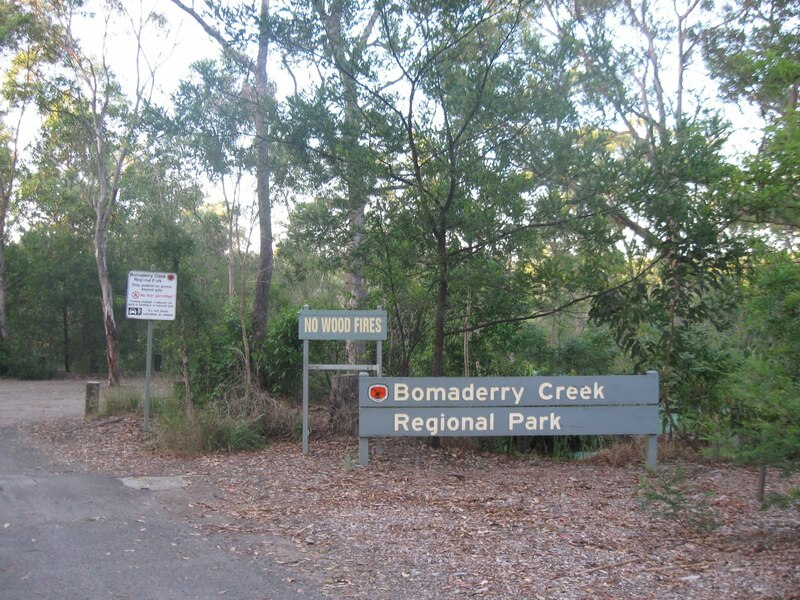 I’ll start with Bomaderry Creek Regional Park, mainly because it was the site I visited first in the Shoalhaven area. 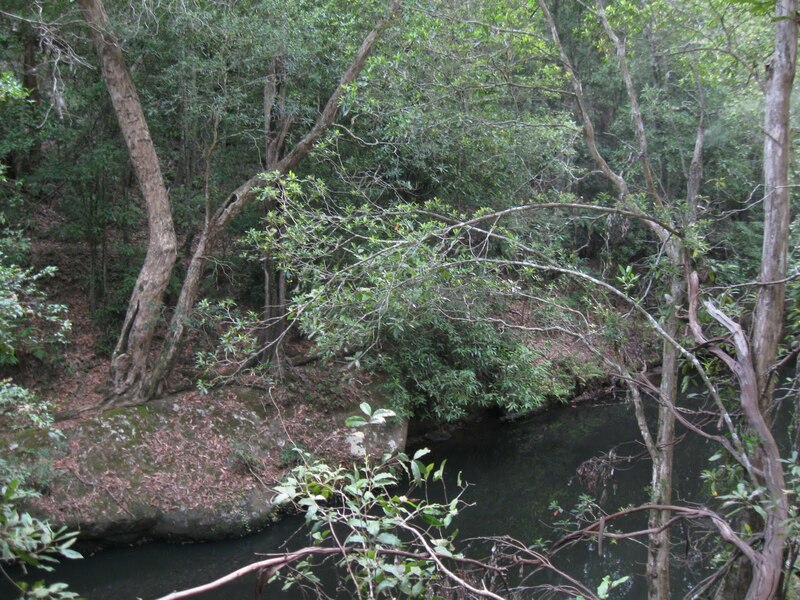 Bomaderry Creek is a really interesting bushland reserve situated only a couple of km from downtown Nowra. 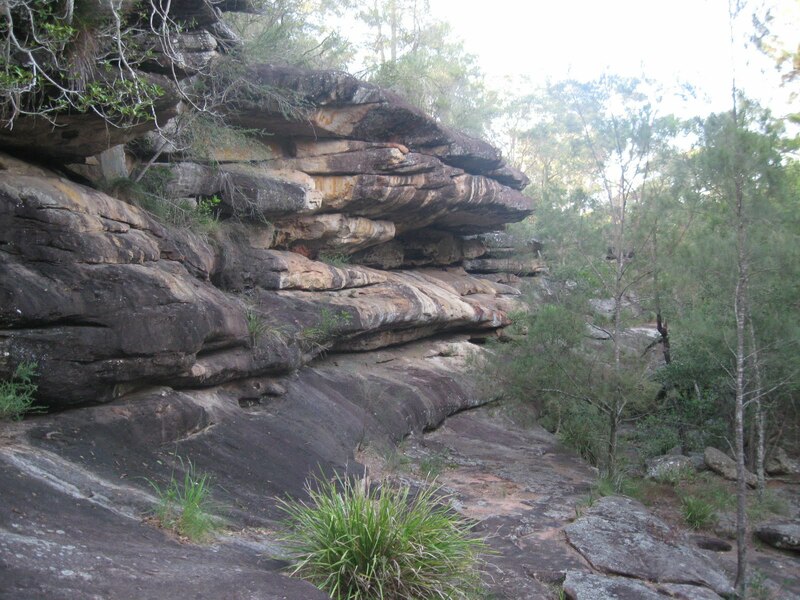 There’s a nice variety of bushland habitats including remnant rainforest, Spotted Gum bush and what’s often described as a ‘secret’ gorge, with sheer sandstone cliff faces and rock walls with overhangs and caves. Bomaderry Creek, a couple of km from Nowra, one of the most southerly sites for Rockwarbler. To get to Bomaderry Creek from Nowra travel north over Shoalhaven River Bridge to 2nd roundabout, about 2 km, and then turn left into Narang Road. After about 300 metres you come to the reserves carpark and the Narang Road picnic area on your left .The 6 km gorge walk (down and back) is spectacular and the birding is really diverse. There’s also a shorter 1km walk also, crossing the creek near the main gorge lookout. It is the perfect habitat for Rockwarbler, with Bomaderry holding one of the most southerly populations of this wonderful little bird. The best place to look is the areas with sandstone boulders and ledges. I found the best spot for them was at the clifftop lookout about 500 metres down the south side of the main walk (just before the 1st loop intersection). Here I found 4 Rockwarbler in the area just behind the look out; scurrying around on a path that leads up the hill (sth). Once found the birds where quite easy to see as pairs of Rockwarbler have a habit of continually calling between themselves to stay in contact. The view from the lookout is perfect for birding, giving good view across the gorge, giving you the chance to check out any birds that may fly up and down or across the creek. I just sat here and did precisely that for an hour or so – relaxed, watched birds and enjoyed the view – and the birdlife was firing. ‘Secret Gorge’ – sheer sandstone cliff faces, rock walls, overhangs and caves. The best spot I found for rainforest gully birds was an area named Fern Glen (of course), which is about 3/4 of the way down the south side of the walk. Here I saw 3 sp of scrubwrens in one binocular field of view – Yellow-throated, Large-billed and White-browed. I just love Yellow-throated Scrubwren; coming from Victoria it’s always a real treat to see this colorful little bird. Also seen here were Black-faced Monarch, Wonga and White-headed Pigeon, Brown Gerygone, Eastern Whipbird, Bassian Thrush, Rufous and Grey Fantail, Azure and Sacred Kingfisher and Scarlet Honeyeater. Bomaderry Creek also has a healthy population of Yellow-bellied Gliders, suggesting that it may be a good site for forest owls such as Masked and Powerful Owl. Copper-tailed Skink and Eastern Water Dragon were also fairly common along the walk. Fern Glen, a good site for wet forest birds such as Yellow-throated Scrubwren. In fact here I saw three species of Scrubwren in the one spot (the others being Large-billed and White-browed Scrubwren. Back in Nowra Little Corella was common. Interesting virtually all the available Australia field guides suggest that Little Corellas are not found on the NSW south coast, so it seem a review of maps by these texts is necessary. Dollarbird was also a common street bird. Another good walk in the area is Ben’s Walk. A good place to start is the Hanging Rock Lookout near the Nowra showgrounds. Like Bomaderry, this walk is a good place to see Rockwarbler on the clifffaces along the main track. There are also some nice areas of grassland, where you can find Southern Emu-wren. One bird I was particularly targeting in the area was Eastern Bristlebird. This was a bird I’d seen quite a few times elsewhere, such as in Victoria at Howe Flat (where it is possibly that states rarest breeding resident bird), however I hadn’t see it at Jervis Bay, said to be easiest place to see this endangered and highly cryptic species. I found the best spot to find this bird was in the heathland area at the back of the township Hyams Beach, particularly along Kallaroo Rd (sometimes called Hyams Rd) – specifically 1km stretch between Jervis Bay Rd and the township of Hyams Beach. The coastal heath and scrub in the area is wonderful to look at. The common heath species are Heath-leaved Banksia (Banksia ericifolia), Saw Banksia (B. serrata), Dagger Hakea (Hakea teritifolia), Manuka (Leptospermum scoparium), Coastal Tea Tree (Leptospermum laevigatum), Scrub She-oak (Allocasuarina distyla) and Grass Tree (both Xanthorrhoea resinosa and X. australis). The other area which was really productive for Eastern Bristlebird was at the intersection of Erowal Bay Rd and Jervis Bay Rd. 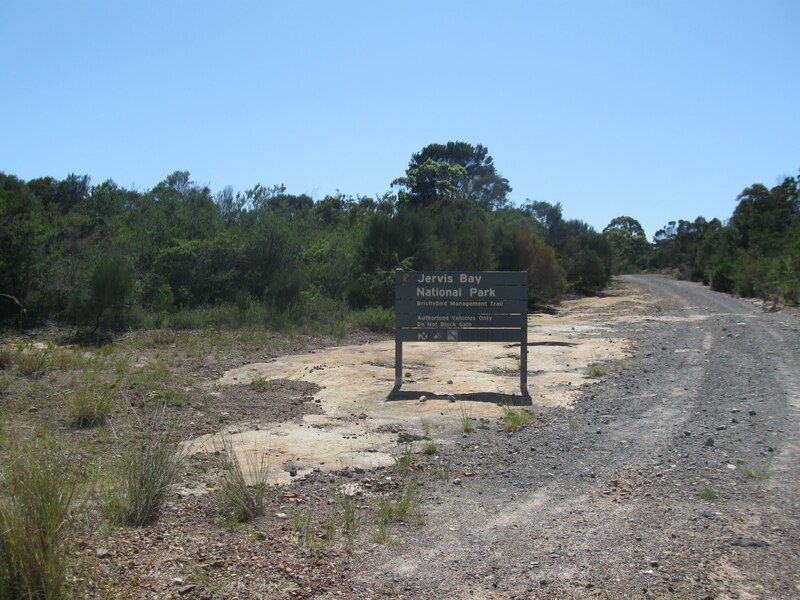 Particularly the walk east from the corner of the Erowal Bay Rd and Jervis Bay Rd up to the Water Tanks, about 1.5 kms (thanks Bob Cook for the tip). This track for some reason is marked down on Google maps as St George Ave – perhaps in anticipation of future housing development – although it certainly not an avenue but a rough walking track. Getting onto bristlebird here was relatively straightforward along. Also seen here was a flock of about 6 Glossy Black-Cockatoo, Beautiful Firetail, Southern Emu-wren, a distant calling Eastern Koel, and overhead a large flock of about 50 White-throated Needletail. Honeyeaters were in good numbers, with Lewin’s, White-cheeked, New Holland, Yellow-faced Honeyeater, Eastern Spinebill, and Red and Little Wattlebird all common, and there was also Eastern Whipbird and Rufous and Golden Whistler. 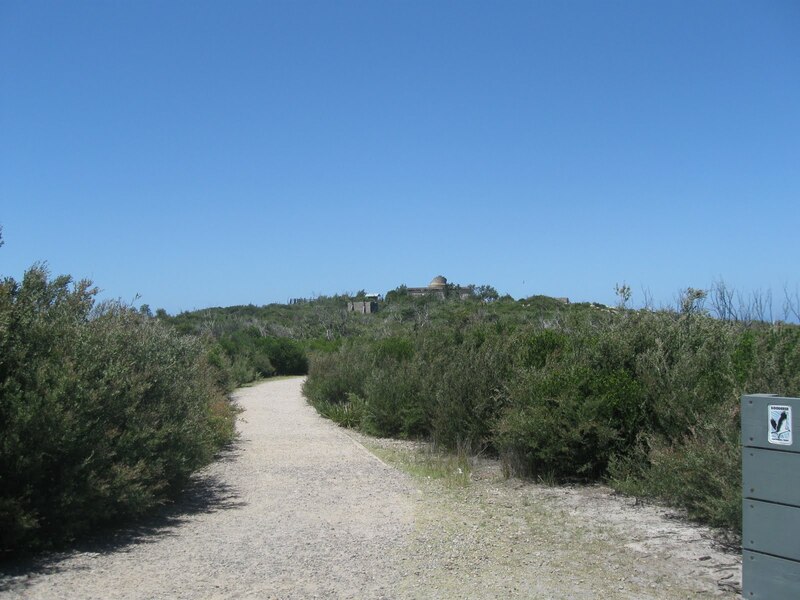 The walking track to the ruins of Cape St George Lighthouse, one of the best known sites for seeing the rare and elusive Eastern Bristlebird. Another good spot for Eastern Bristlebird was the Cape St George Lighthouse, a ruin at the end of Stony Creek Road. I had a bristlebird run across the road just before the carpark, and there were several birds calling along the walk from the carpark to the lighthouse. Also seen here were Variegated Fairy-wren and Tawny-crowned Honeyeater. The lighthouse is also (not surprisingly) an excellent place for seabird watching. For example I got onto Black-browed Albatross, a Jaeger (possibly Pomarine), Australasian Gannet, Short-tailed Shearwater and Crested Tern. An excellent site for sea-birding, the view from the lighthouse. The story of the lighthouse is quite interesting: the reason that it’s no longer used as a lighthouse was because it was erected in the wrong place. For a start it was not the most easterly point along that part of the coast and therefore actually caused shipwrecks rather than prevent them! The lighthouse was later moved to Point Perpendicular on the northern side of Jervis Bay, which, as you can tell by the name, is the most easterly point. Another bird I was keen to track down in the area was Ground Parrot. I didn’t get them at either Hyams Beach or the Lighthouse, so I tried an area of heath located on the small road to the Jervis Bay Airport (it the turnoff just before Wreck Bay Rd, and borders Jervis Bay Rd). My first impression of the heath here was that it looked perfect for Ground Parrot; in parts it was it was knee high, similar to the heath at Shipwreck Creek in Croajingolong (Vic), where I see Ground Parrot regularly. After some struggle I managed to flush a single Ground Parrot, tramping for an hour or so through this heath. I also flushed several Brown Quail. It was also really nice to see a couple of Square-tailed Kite at Jervis Bay. I saw them at 2 places: one circling above Southern Mahogany (Eucalyptus botryoides), Blackbutt (E. pilularis) and Bloodwood (E. gummifera) forest between the information centre and the turnoff to township of Jervis Bay, and the other much closer to the Princess Hwy, over bushland on Island Point Rd. 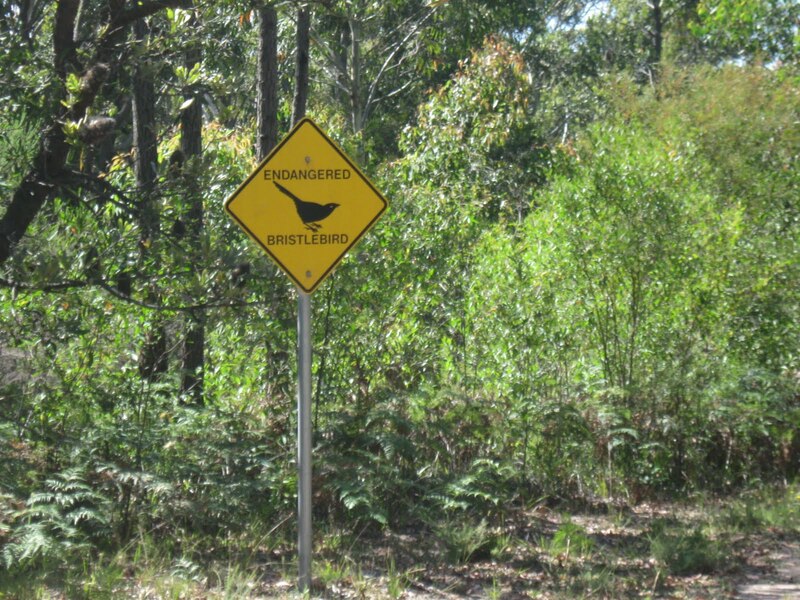 Of interest I also heard a single Eastern Bristlebird in the heathy area near the start of Cave Beach Rd – the road to the Booderee Botanical Gardens, and there were areas here that looked perfect for Ground Parrot – such as the heathland on the northern border of the gardens. I had a bit of a look here, seeing Brush Bronzewing and Southern Emu-wren, but ran out of time for a decent look for Ground Parrot. Booderee Botanical Gardens is also worth a visit, with wide selection of plants and bushland birds. The Gardens are the only Aboriginal owned botanic gardens in Australia, jointly managed between the Wreck Bay Aboriginal Community Council and the Australian Government’s Director of National Parks. The area around the Murray Boat ramp is also interesting, and a walk to Governor Head is worthwhile. Here I recorded White-bellied Sea-Eagle, and there was an Eastern Reef Egret feeding on the rocks. The final area I that I birded in the Shoalhaven area was around the township of Berrara, the towns where we rented a cabin. Berrara is a very pleasant township, with excellent beaches, a logon and creek that’s surrounded by the eucalypt forests and coastal vegetation of Conjola National Park and Nature Reserve. 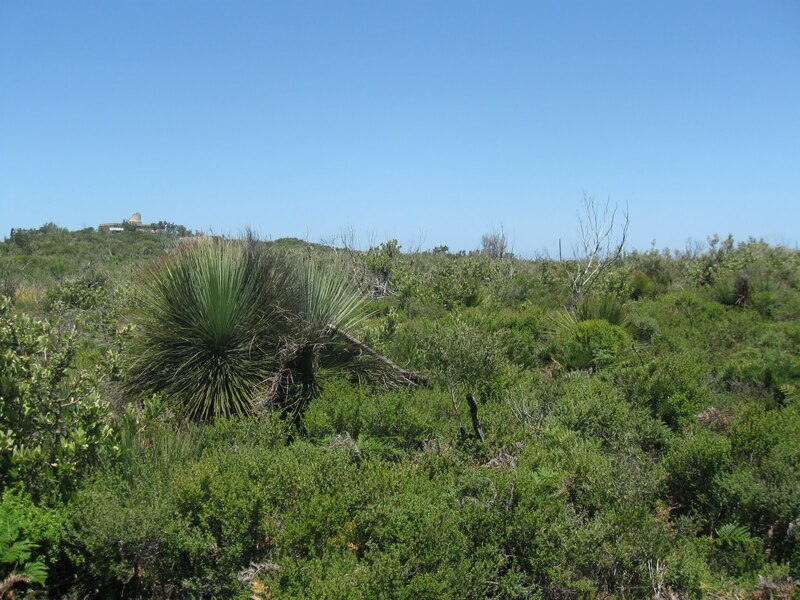 Coastal heath and scrub dominated by Coastal Tea tree, Heath-leaved Banksia, Dagger Hakea and Grass Trees. On the beach between Berrara and Bendalong there was a pair of Hooded Plover. As far as I know this is the northern most breeding population of this species. There was also Caspian and Crested Tern and Pied Oystercatcher. Around our actual cabin (located overlooking the lagoon on Berrara Rd) I ended up with a pretty good bird list. Channel-billed Cuckoo and Eastern Koel were regularly seen and heard (especially when playing cricket with my son Rhys), as were Rainbow Bee-eater and Dollarbird. There were resident Little Wattlebird, Eastern Spinebill, Eastern Whipbird, Satin Bowerbird and Kookaburra. Parrots were doing well in the area including King Parrot, Crimson Rosella, Rainbow Lorikeet, occasional Musk Lorikeet and Galah. 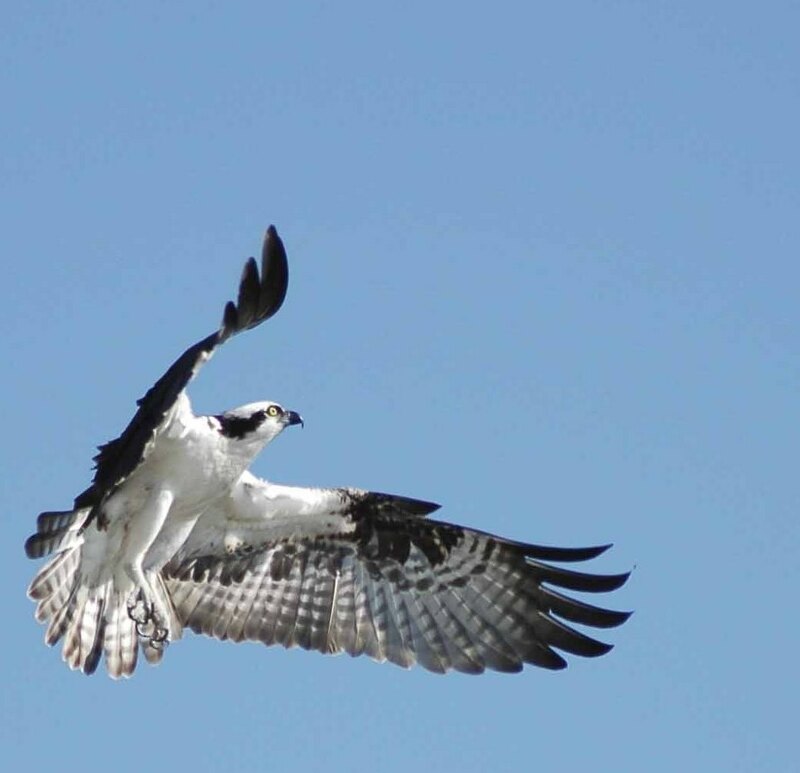 A pleasant surprise was seeing an Osprey, which circled just above our cabin (also seen while playing cricket with Rhys), as did occasional White-bellied Sea-Eagle, Whistling and Black Kite (I didn’t think to see this sp here) and flocks of about 50 White-throated Needletail. The creek provided ideal habitat for a variety of water birds including Azure Kingfisher, Nankeen Night Heron, Great and Little Egret, Chestnut Teal, Great and Little Pied Cormorant, and White-faced Heron. Other birds included a single Grey Goshawk, Scarlet Honeyeater, and Sacred Kingfisher. Finally, while staying at Berrara the NSW ABC news announced that 11 Hooded Plover had successfully been reared on the NSW south coast – a very fitting news story considering where I was staying. Thanks to Bob Cook and Charles Hunter for exchanging information about Jervis Bay, both of whom had just visited the area before I’d got there. 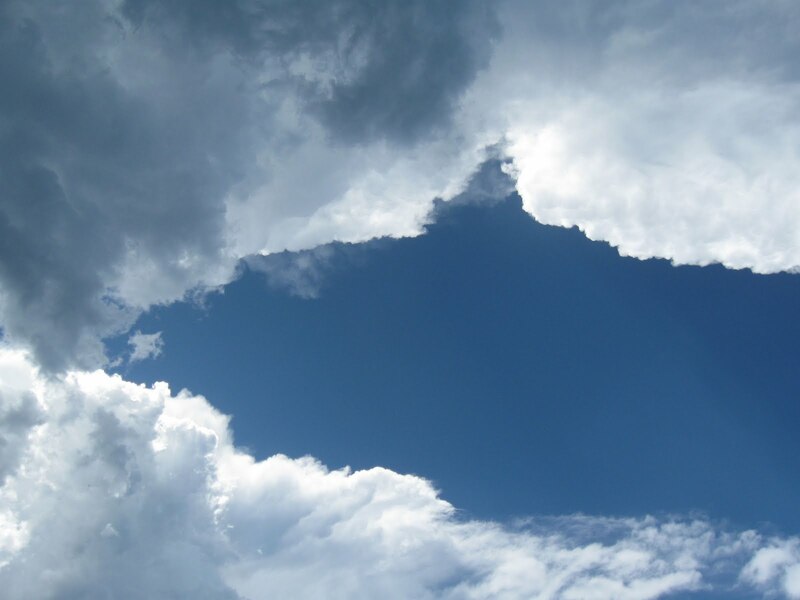 Great skies. When birding don’t forget to look-up. Birds seen while ‘looking up’ included several flocks of White-throated Needletail, Osprey and Square-tailed Kite.